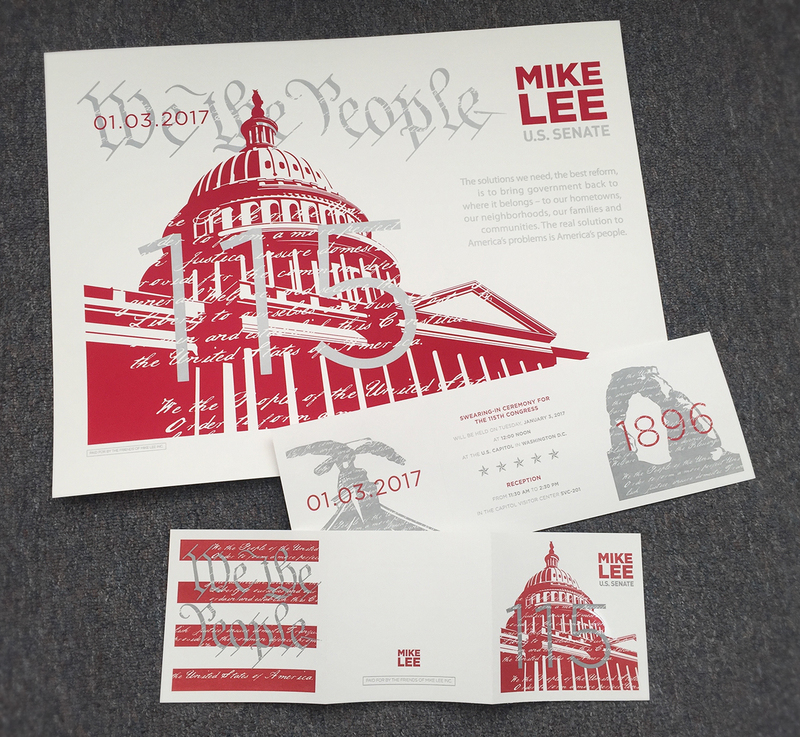 Senator Mike Lee needed invitations for his swearing in ceremony in Washington D.C. 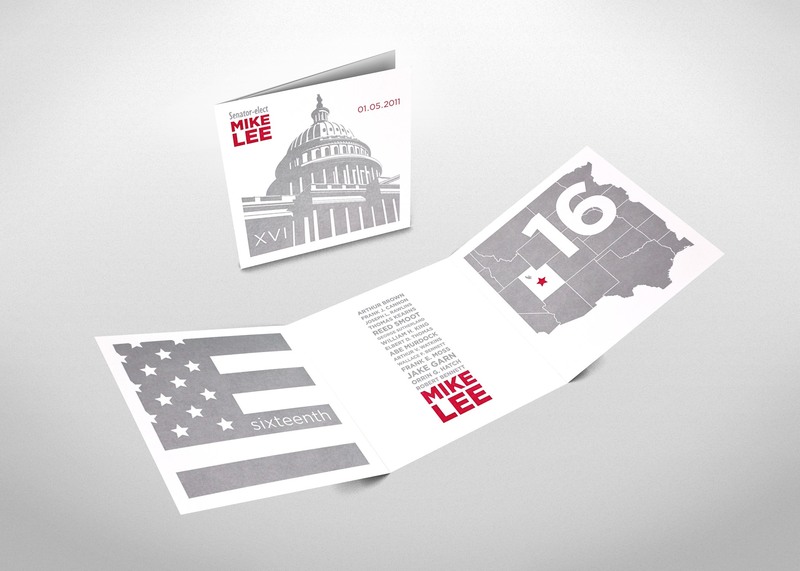 This award-winning invitation was then created for Senator Mike Lee – 16th Senator of Utah. 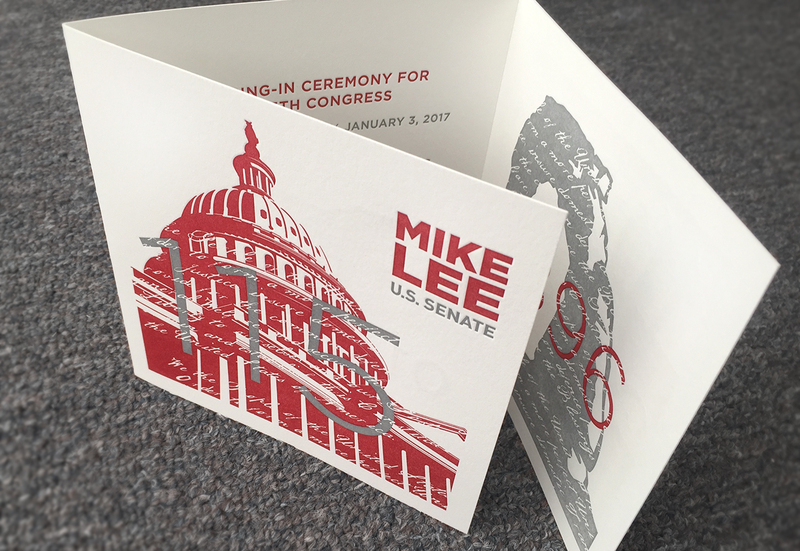 The invitation was printed with silver ink on a letterpress. 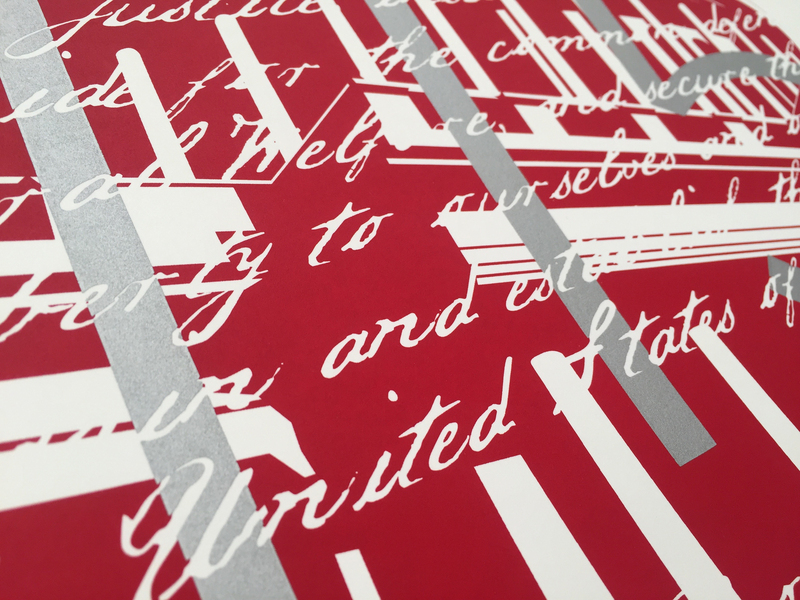 It also came in a semi-clear vellum envelope and was accompanied by a silk-screened poster. The invitation was updated for the second term.